The FX scripted series tells the story of the drag balls of the '80s that spawned an entire culture and vogueing. 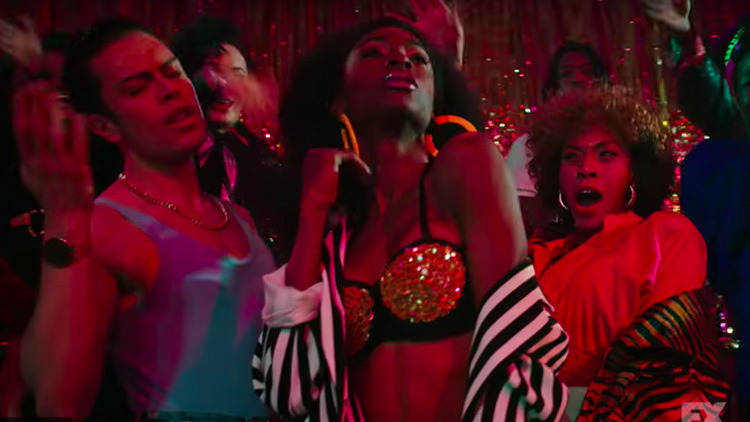 The trailer has finally dropped for Ryan Murphy’s scripted drama Pose, set in the world of drag balls and vogueing that was famously investigated in Jennie Livingston’s 1991 documentary Paris Is Burning. The series, which will air on FX beginning on June 3, boasts the largest cast of transgender people as series regulars in television history—even surpassing Amazon’s Transparent. The cast of trans stars includes MJ Rodriguez, Indya Moore, Dominique Jackson, Hailie Sahar, and Angelica Ross, who will also play transgender characters. The series costars American Horror Story favorite Evan Peters and Kate Mara as a New Jersey couple who are drawn into the world of the drag houses of the ‘80s. Tony winner Billy Porter, James Van Der Beek, Ryan Jamaal Swain, and Dyllon Burnside round out the cast. The trailer for the scripted series mimics a documentary with what appears to be archival footage intercut with talking head interviews and pristine recreations of the drag ball era. While not much is known about the plot at this point, the series has the opportunity to truly break ground and to tell the genesis of a culture in which trans people were front and center. Pose premieres on June 3. Watch the trailer below.